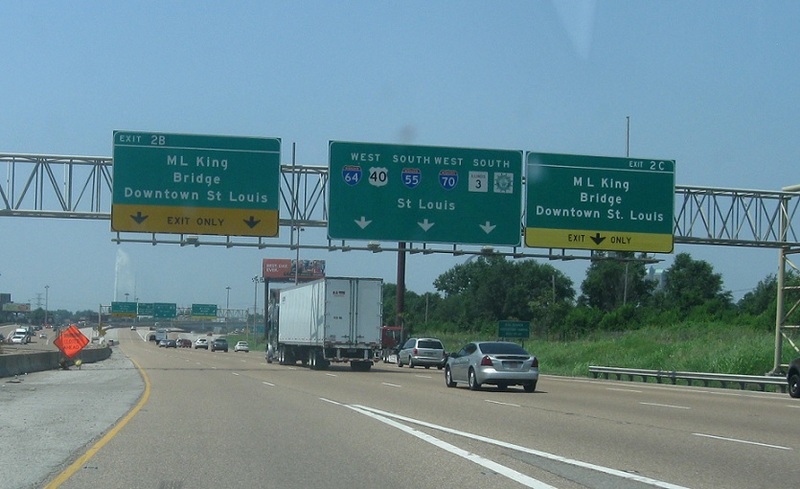 Reassurance shield as Route 3 joins the interstates. 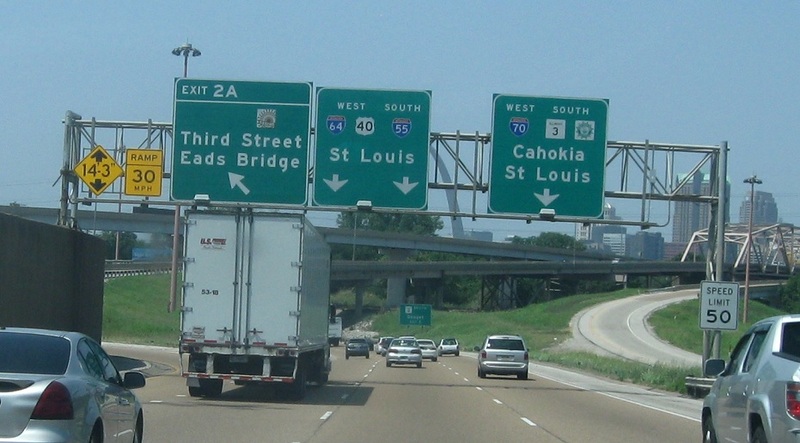 I-70 no longer follows this routing. 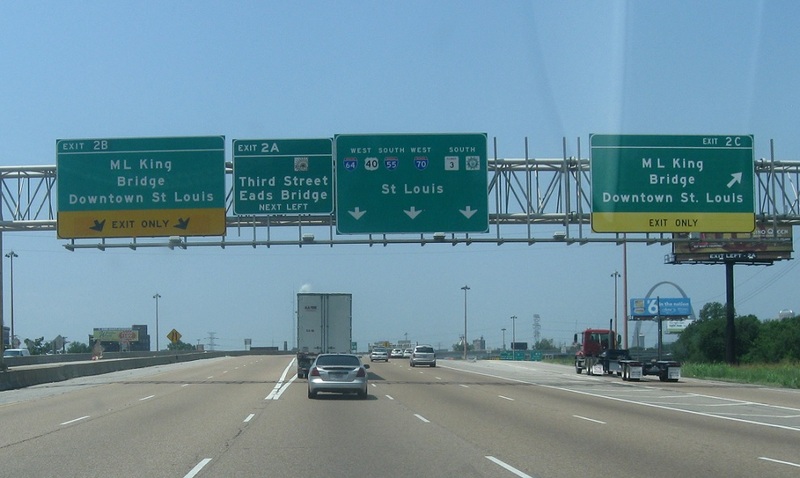 Exit at Exit 2A Route 15, which is not the Eads Bridge. Exit left for Route 15.